The Datsun Go hatchback will be launched in India on the 19th of March, 2014, at the country’s capital New Delhi. The Go hatchback is a petrol-only model and the first car badged a Datsun after nearly three decades. 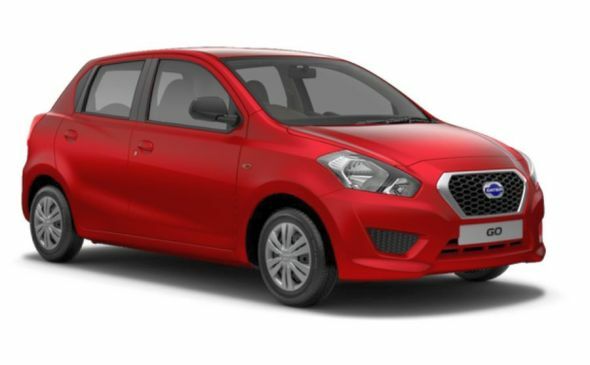 Based on the Nissan Micra’s V-Platform, the Datsun Go is a cut price hatchback that seeks to appeal to entry level small car buyers in India and the emerging world. The Datsun Go is likely to be sold in three trim levels, all of them priced in a band between 3 and 4 lakh rupees. While India is the first market in the world to play host to a resurrected Datsun, the car will reach markets such as South Africa and Indonesia in the coming months and years. The car’s production has already begun at the Renault-Nissan joint manufacturing facility at Oragadam, off Chennai. The Datsun Go is powered by a detuned version of the the 1.2 liter-3 cylinder HR12DE petrol engine that outputs 67 Bhp-104 Nm. The detuning, along with a lower kerb weight, means that the Datsun Go delivers a highly creditable mileage of 20.6 Kmpl, as certified by ARAI. This engine does duty in three other cars sold in India, the Nissan Micra Active, the Micra Facelift and the Renault Pulse. A five speed manual gearbox drives the front wheels of the Datsun Go. The car is a five seater with its spacious interiors being a major draw, especially when compared with the likes of the Maruti Alto 800 and the Hyundai Eon. The Datsun Go will be retailed through Nissan India’s existing set up dealerships across India. Nissan dealers will also handle the after sales service for brand Datsun. A high amount of localization is likely to result in low maintenance costs, a key consideration of small car buyers in India.